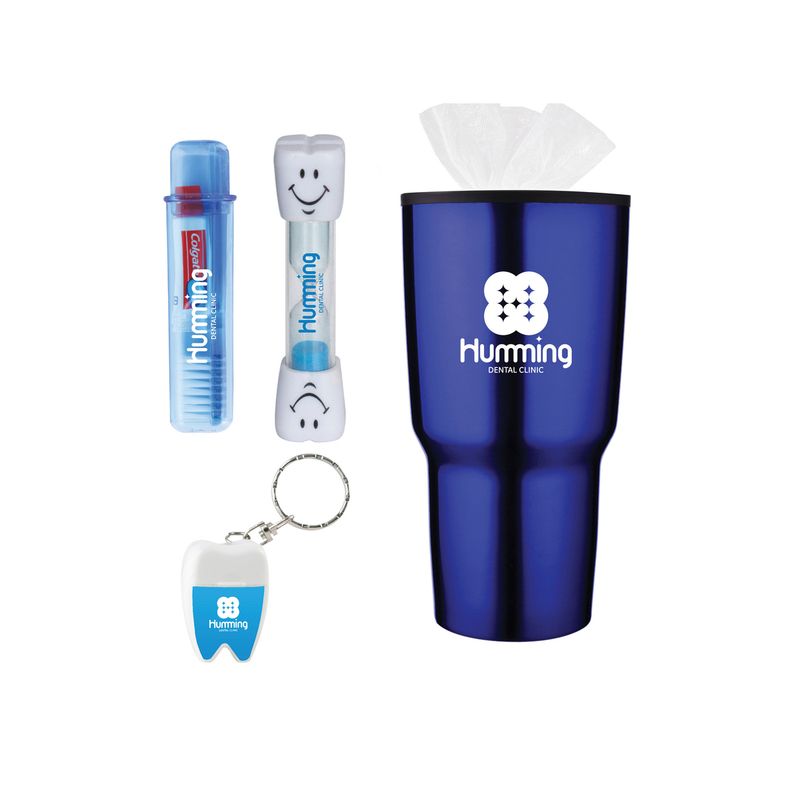 Packaged in our 30oz Economy Stainless Steel Tumbler and secured nicely in a small organza bag, this Time to Brush Tumbler Kit will have you ready to brush those chompers! This kit provides all that is necessary to have a great next trip to the dentist. With a sand timer to guide your brushing time, travel toothbrush and toothpaste combo and tooth shaped floss that ranges about 12 feet, having a clean mouth is easier than ever. Item Size: TIM101: 3.875"h x .75" dia.